This national park is the perfect example of unspoiled natural beauty. Originally established in 1922, the park has seen many transformations in the last few decades. The park is spread over ten-thousand hectors. Rich biodiversity includes hundreds of plant species, animals and birds. Rare European bison also calls this park their home. Try to take a guided tour early in the morning. The guides are knowledgeable and you will learn a lot about the local ecosystem. Make your visit suitable to your interest, use Bialowieza trip planner for personalization. Hotels like Hotel Complex Kamenuki, Hotel Bialowieza Conference, Wellness & Spa will solve your problem of where to stay in Bialowieza. Create your own Bialowieza vacation packages or choose from the ones made by travel experts. Also explore the best ways for how to reach Bialowieza. Love this? Explore the entire list of places to visit in Białowieża before you plan your trip. Fancy a good night's sleep after a tiring day? Check out where to stay in Białowieża and book an accommodation of your choice. A great forest park with very interesting flora and fauna. Definitely worth a visit. Don't expect to see a bison though. Get a guide for the visit (we uswd PTTK9). Really worth it! 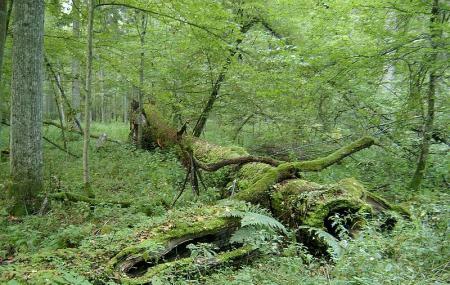 This is arguably the most ancient virgin forest in Europe, a remnant of the mighty woodlands that scientists believe once blanketed most of the continent. A unique and beautiful environment. Well worth the visit. The town and villages tucked into clearings of the forest are beautiful. A must see, this unique unspoiled and the only remaining bit of primeval forest in Europe. Hope it stays this way for future generations.